We take industrial cybersecurity defense seriously, as if our lives depend on it. Because it does. CyberX is the only industrial cybersecurity platform built by blue-team cyber-experts with a proven track record defending critical national infrastructure. We were the ones who developed the technology solutions – sometimes overnight – in real environments to address real and immediate threats … and we were the ones who deployed them in the field and made sure they worked, day in and day out, even when managed by people who had to worry about countless other things – like survival. This continues to be what we do at CyberX — practical enterprise-grade cybersecurity for defending critical infrastructure in any environment. And that experience isn’t just built into the technology, it’s embedded in the DNA of the company culture. ON A PLATFORM OF PRINCIPLES. For technology to be useful, it has to be usable by people who often have a multitude of other things to worry about. This is a crucial lesson learned from the most unforgiving of environments, the battlefield. That’s why everything we develop is easy-to-use. For example, the visual dashboard is cleanly designed with comprehensible alert messages, graphical attack vector diagrams, and point-and-click investigation tools. 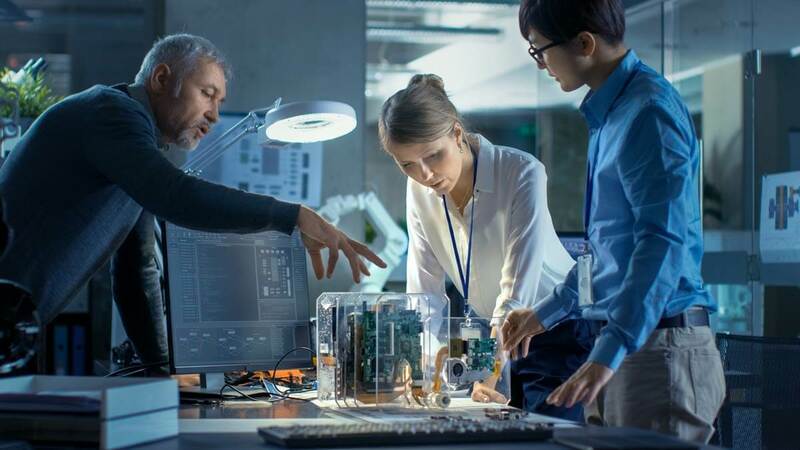 Complexity is perhaps the biggest challenge facing large organizations today, especially with advances in the Industrial Internet of Things (IIoT). Just as we have successfully developed and deployed solutions to address a wide variety of needs from groups as diverse as the Air Force, Marines, infantry soldiers and government overseers, CyberX provides an open API and integrates with all major SIEMs, analytics platforms, security orchestration and ticketing systems, secure remote access platforms, NAC systems and firewalls. We don’t simply help you manage complexity, we help you conquer it. We were the first to develop a security monitoring platform with ICS-aware self-learning and behavioral analytics; the first with passive ICS vulnerability assessments and automated threat modeling; the first native ICS threat monitoring app for corporate SIEMs; the first to integrate with Palo Alto Networks’ App Framework; and the first cloud-based service for identifying and detonating ICS malware. We have a history of firsts because we have a culture of innovation. That’s the only way to stay ahead of our adversaries. With sophisticated adversaries, we know it’s not a question of if, but when. Our founders were part of the national incident response team that provided agile solutions on the fly for security gaps. That’s why we built incident response into the CyberX solution, giving you the tools to rapidly detect and respond. Plus, our team of seasoned ICS incident response experts — and our service provider partners — have your back when you need them most. We’re proud of our responsiveness to client issues and requests and we support them with remediation methods & forensics as soon as an intrusion is detected. In fact, know them better than they know themselves. That’s why we were the first industrial cybersecurity firm with an in-house team of threat intelligence experts, who are constantly scouring the ICS ecosystem — across both open and closed sources — to track industrial malware, campaigns, and adversaries. When your life and livelihood are at stake, you want the best people to back you up. That’s why we hire the best people with proven track records in security — after submitting them to an intensive evaluation process — and that’s why we partner with best-of-breed technology partners like Palo Alto Networks, IBM Security, CyberArk, and global solution providers and MSSPs like Optiv Security, DXC Technologies, and Deutsche-Telekom. The CyberX platform comes ready to use out of the box, deployed in less than an hour as a physical or virtual appliance. But because we know that IT/OT security is not “one-size-fits-all”, we provide 24×7 remote support combined with onsite support services — and partner with global service providers — to customize implementations for your particular needs. And yes, sometimes we develop solutions overnight to respond to urgent customer needs.